NEW YORK (WABC) -- Police arrested a Guyanese citizen last week after they say he tried to smuggle cocaine in his shoes through John F. Kennedy Airport. U.S. Customs and Border Protection officers stopped Amaziah Hohenkirk on February 9th after he arrived on a flight from Georgetown, Guyana via Port of Spain, Trinidad and Tobago. 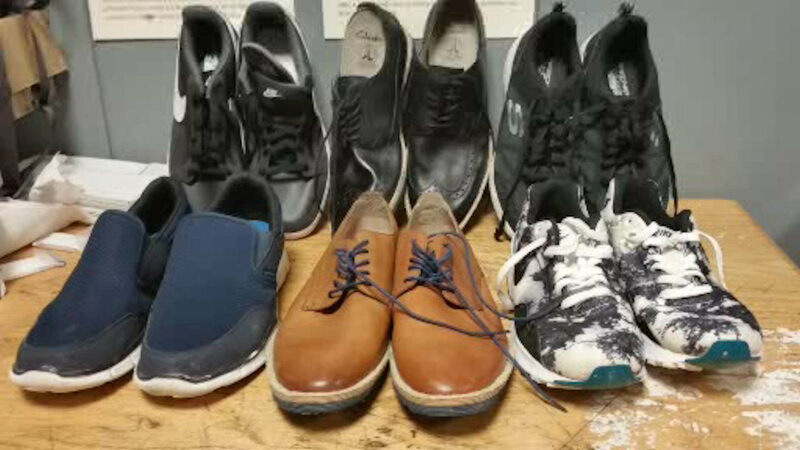 Customs agents found six pairs of shoes in Hohenkirk's luggage that contained about four pounds of cocaine during the course of their inspection. "This latest seizure demonstrates the vigilance of our CBP officers, and their excellence in detecting those who would try to smuggle these illegal substances," said Robert E. Perez, Director, Field Operations New York. The cocaine seized has a street value of approximately $67,000. Hohenkirk was turned over to Homeland Security investigators and now faces federal narcotics smuggling charges.